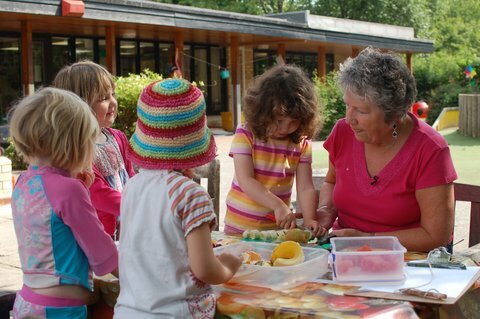 Homerton Nursery – Homerton is a maintained local authority nursery school. A happy and exciting environment supporting children aged 2 – 4yrs old on their nursery and preschool journey. With music lessons and regular visits to our Old Orchard and allotment, we promote creative and positive outdoor experiences. We will be allocating our nursery (3 year old) places for September 2019 from February 2019. If your child was born between 1 September 2015 and 31 August 2016, and you would like a place at Homerton Early Years Centre, please complete an application form as soon as possible. Please contact the office for further details. Nest (2 year old) places for September 2019 will be allocated from March 2019. It is a great privilege to welcome children and their families to Homerton. Homerton is a large centre comprised of a maintained local authority nursery school, The Nest, our provision for two year olds and a teaching school. Whichever way you find yourselves at Homerton; whether it is as a parent of a child in our nursery school, as someone accessing our training or as another professional, we aspire to offer all the very best at Homerton. 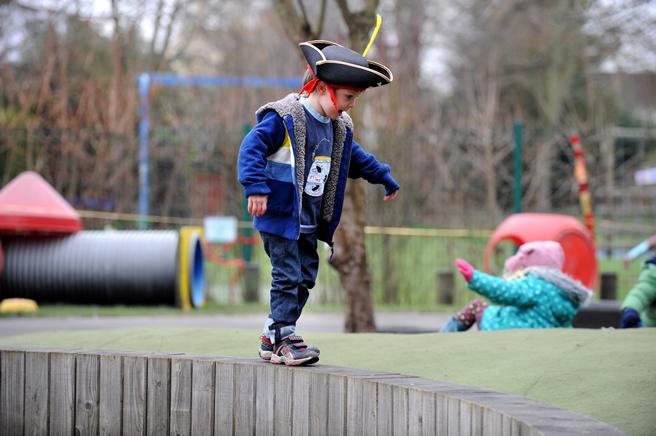 We aim to make children’s experiences of Homerton happy, exciting and full of playful discovery. All children are encouraged to be confident learners. Highly qualified and experienced practitioners guide them in making choices, developing their independence and expanding on their interests of the world around them. We provide stimulating environments and support children in developing curiosity, playfulness and a desire to learn. Children delight at meeting challenges and taking risks whilst benefiting from a safe, caring and secure environment. Children learn through play with planned experiences at Homerton, including less common opportunities such as learning to grow vegetables in our allotment and discovering how to make music from the skills of a specialist music teacher. We have large and well designed gardens providing as much opportunity to learn outside as in the classrooms. Do dress your children in old clothes suitable for all weathers! We have excellent and experienced staff, including qualified teachers, that ensure we offer challenging activities. We follow the Early Years Foundation Stage curriculum, you can learn more about that by looking under Learning and Development in the top menu. We aim to develop each and every child’s full potential at Homerton and build a firm foundation for life-long skills. We work closely with parents; you know your children best and this helps us develop their learning and match our planning more closely to your children’s interests. We have a great deal of knowledge of child development, can share with you their achievements and the pleasures and challenges of parenting. Welcome to Homerton Nursery School for 3 and 4 year old children. Come and find out all about the wonderful things we do together! We recognise parents want warm, safe, stimulating environments where their children can play with others beyond the 15/30 free hours educational entitlement for 3 and 4 year olds. We have a ‘home from home’ environment for two year olds, called The Nest, a rich play environment for extra hours for 3 and 4 year olds, called Owlets, and a Holiday Club.